Mireya Navarro is a reporter for The New York Times and the author of the memoir Stepdog. In this piece in the New York Times, she describes her relationship with Eddie and how it improved as Eddie aged. Dogs are part of the family and, increasingly, they are being included in their owner’s Big Day. (I’m invited to a wedding in October that will include the couple’s dogs – Bernese Mountain Dogs – and look forward to sharing that with my readers). In this article from the New York Times, a Vermont-based photographer says that half of the weddings on his schedule this season involve a dog. And most of the owners interviewed say that they wouldn’t think of not involving their beloved dog in the ceremony. Did you include your dog in your wedding? I’d love to see the photos! This post is definitely filed under the heading of Special Dogs & Awards. Another example of how our dogs can work with us and for us…. 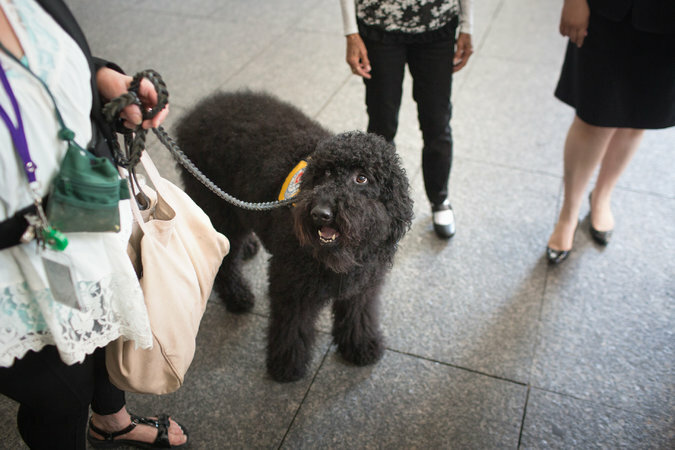 A courtroom therapy dog named Paz, a Labradoodle, has helped a woman testify in court about her multiple assaults and captivity, an ordeal endured with her 5-year old daughter. It is the first time a judge has allowed a therapy dog in court to support an adult (rather than a child). In this New York Times opinion piece, Professor Gregory Berns discusses the MRI findings of brain activity in dogs, the evidence for ‘sentience’ and the reasons why dogs’ rights should go beyond consideration of animals as property. As a woman with a long history of enjoying life with canine company, I found this article, by Tatjana Soli, particularly good. Last month, I wrote about Blue, an elderly Australian Cattle Dog who was facing an uncertain future in Elephant Butte, New Mexico. This week, it was announced that the town officials had reached a compromise with Blue’s nominated owners (Blue was abandoned early in life and formed connections with some residents more than others). Blue will be exempt from the city’s leash law, but his owners will need to keep him contained on their commercial property through the use of an electric fence. Read more about Blue’s compromise here in the New York Times. The City of San Francisco is providing leadership in the area of disaster planning for pets. 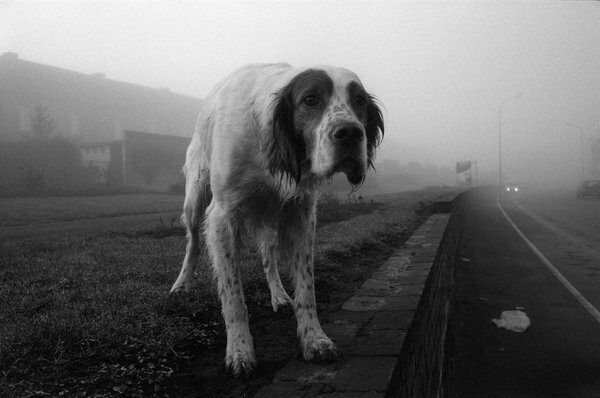 Following the disaster of Hurricane Katrina in 2005, when pet owners were refused shelter if they brought their pets with them, the Pets Evacuation and Transportation Standards Act of 2006 made federal funding available for authorities to plan to help companion animals that are affected by disasters. In San Francisco, pet-disaster responders will have authorised training and they will use a network of 125 temporary shelters to evacuate animals. Injured animals will be treated in a $300,000 mobile animal disaster medical command unit (funding for this is still pending). Best of all, the city’s department of Animal Care and Control has a No Pets Left Behind policy. Whenever a citizen is rescued, their pets will be rescued too. For those of us who have lived through a major disaster like Christchurch’s 2010 and 2011 earthquakes, we know the importance of having supplies and an evacuation plan for your pets. It’s also a challenge to get authorities coordinated to respond to animal welfare problems during major events. Read more about San Francisco’s disaster planning in this New York Times article.